Dating is hard, no matter how old a person is. Whether it’s a beautiful 25-year-old or a 55-year-old woman, it isn’t easy. But is it the same? Being over 50 and single for whatever reason, whether it’s a loss of a loved spouse or a divorce, can have its challenges. In addition to that, people forget what dating looks like after being married for 30 years or more. Especially when they only dated the old-fashioned way. Let’s face it; it shows when you are a senior. Some look younger than their age, some older. Depending on the amount of care they’ve been giving to their body. But senior dating isn’t about how you look at all. In fact, mature people are much more open to diversity than young. They are well aware that what matters in life isn’t looks or religion or age. Companionship is all about caring for someone and understanding them. Matching personality and interests is the most important criteria when looking for someone who will be your lover or just a friend. This can be a problem for a parent who has dedicated their life to raising mature people. Making peace with the fact that children who have moved on now don’t have a saying in this isn’t as easy as someone would think. 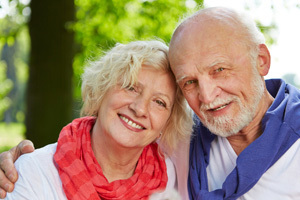 The most important step before even peaking into the world of senior dating is letting the children know. They should accept that it’s time for you to think of yourself now that they’re grown up. The internet is a perfect place for people who wish to take advantage of the anonymity it provides. Senior dating isn’t an exception. Seniors are especially amenable because they are lonely and some of them don’t fully understand all the ways they can be conned on the internet. Still, there are red flags that show whether someone wants your companionship or only to take advantage of you. Stay away from people too eager to meet you in person. Try to get to know everyone before you agree to meet for dinner. Sentences like "You are my true love" and such are a huge warning. How can you love someone after just a couple of chats? Take precaution measurements before you meet someone you don’t know for drinks. Tell your family or a friend where you are going and let your date know that you’ve done that. If your potential companion gets angry at you for doing that, then it’s a solid indicator that their intentions aren’t that pure. Dates looking for money on the excuse of leaving the country and having to pay taxes before. Or the ones saying "You don’t love me if you don’t wire the money" for whatever reason, are probably scammers. A person who is 60 or 70 years old might think that their time has passed and that they will never find a companion to cheer them up during hard times. That’s not true at all. We never get too old for love. The fact that today’s dating sites are mostly made for a young audience above all makes dating much harder. But what if you are a beautiful 55-year-old woman who is also wealthy? Why not even look for someone younger than you? Some may call it cougar dating, but in fact, love knows no limits, and who cares how people label it. Then again, what’s most important is that you are happy.